The bubble tea station at Canisius offers three signature combinations as well as plenty of customization options. The Chartwells operation at Canisius College in Buffalo, N.Y., was looking for an unusual concept that could help draw more traffic to its new Market at Old Main c-store. The store itself is located in a classroom building and is only open during the day on weekdays. That “different and new” addition arrived in late October with the opening of Bubble Tea at the Market, a separate serving station located inside the store. Bubble Tea is open 10 a.m. to 3 p.m. while the Market opens at 10 a.m. but then stays open until 6 p.m. 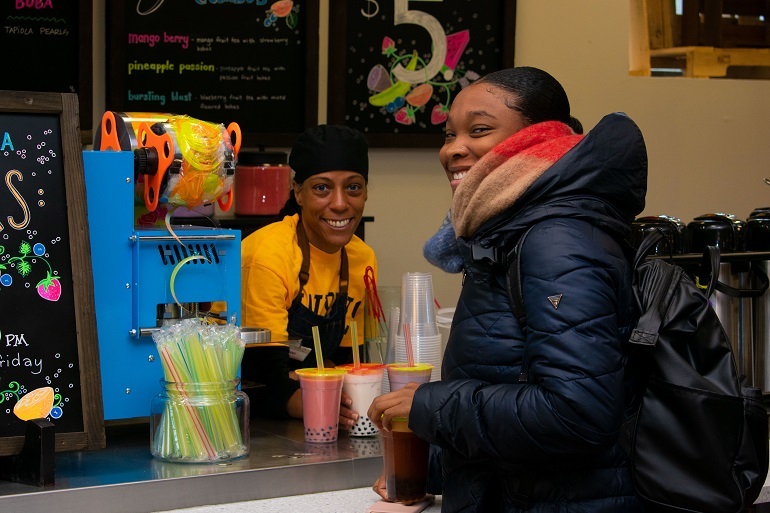 The bubble tea station has helped the Market c-store build more traffic as students come in to try the exotic beverage, and often also purchase snacks and other items while in the store. Bubble tea as made at the Market offers an option of a green or black tea with a fruit (pineapple, mango, blueberry, raspberry or banana) or milk (taro, coconut, strawberry, watermelon or lavender) flavoring enhanced with the addition of tapioca pearls or “Bursting Bobas,” chewy “bubbles” similar to Gummy bears or jelly beans that release their flavor when bitten into. At Canisius, the bobas come in lychee, strawberry, raspberry and blueberry flavors. Students can customize their drinks or select one of the featured mixes. “Customization is so big to today’s students, not only in bubble tea but all food choices like Build Your Own Burger, Taco's Your Way [and] our custom Carved & Crafted deli,” Tychinski observes. The best-sellers so far, he adds, are the raspberry and mango flavors but “interestingly, we are seeing taro and lavender becoming very popular” as well, he adds. The research included talking to the owners of the bubble tea shops, learning what it takes to make and sell it. The investment, it turns out, was minimal, with no special equipment required. Bubble tea is a kind of combination beverage and candy, mixing tea, milk or fruit flavoring and tapioca pearls or boba balls in custom combinations. 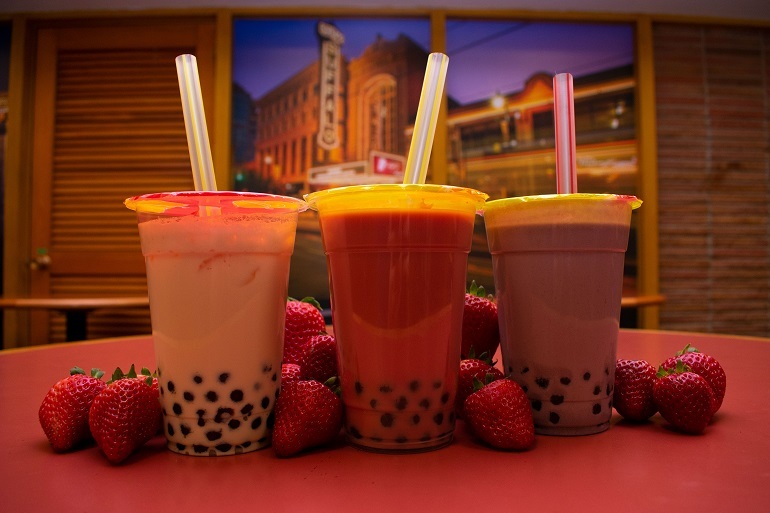 Ultimately, the bubble tea station seems to have achieved its goal of drawing traffic to the Market, as incremental sales are up 11.8 percent since the station debuted, Tychinski says. It sees about 325 customers on an average day, and the bubble tea station will sell anywhere from 65 to a hundred drinks a day.